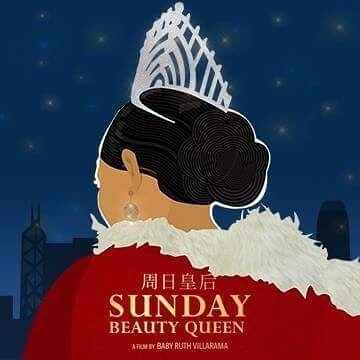 A party-list organization and several non-government organizations involved in helping overseas Filipino workers banded together to endorse the movie, “Sunday Beauty Queen” and to ask more theaters to show the lone MMFF film documentary that focuses on the lives of Filipino domestic workers in Hong Kong. In an open letter addressed to the Metro Manila Development Authority and the Film Academy of the Philippines, ACTS OFW party-list, the Blas F. Ople Policy Center, Migrant NGO Forum, Filipino Migrant Workers’ Group (FMWG), OFW Family Advocates, Kabalikat ng Migranteng Pilipino, Inc. (KAMPI), and the Kapisanan ng mga Kamag-anak at Migrante Manggagawang Pilipino, Inc (KAKAMMPI), endorsed the movie as deserving of everyone’s support. The lone OFW representative in Congress, Rep. Aniceto “John” Bertiz of ACTS OFW party-list said that the movie is an “uplifting movie with stirring moments” as it depicts the fierce desire of overseas workers to help their families survive poverty. The seven OFW groups urged theater owners, the Film Academy of the Philippines, and the Overseas Workers’ Welfare Administration to work together to ensure that more OFW families are able to see the film before the film festival ends. The documentary directed by Babyruth Villarama and produced by the same team that gave the public the much admired “Heneral Luna”, continues to face an uphill battle in getting more theaters to show the film. “A lot of people especially in the provinces would like to watch the film but it is rarely being shown in major provincial cinemas,” Jun Aguilar of the Filipino Migrant Workers’ Group said.